In this day and age, businesses, organizations and individuals are seeking new ways of empowering their people. Professionals often attend amazing Leadership or Team Building workshops only to go back to work and discover that nothing has changed. The important difference with using horses is their unique ability to facilitate real and long lasting change and transformative learning. Equine facilitated learning can provide a non-judgemental and empowering space for self-development, team building and leadership training. 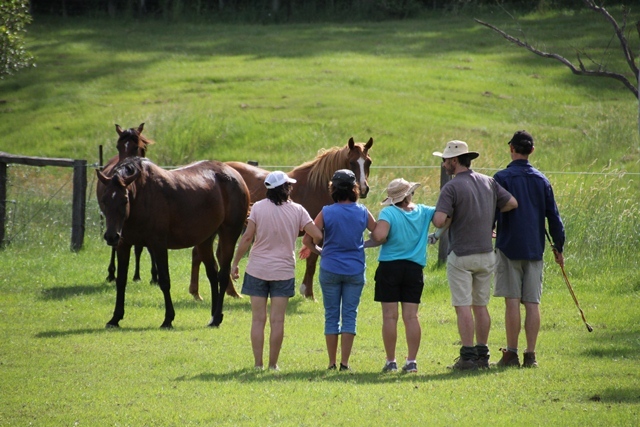 An experiential learning environment is created through a variety of activities between the participants and the horse. This environment allows every participant to become fully engaged in their own unique learning process, as well as giving them the opportunity to learn from the experiences of others in the group. Each participant is supported to develop important insights and awareness around their own practice as People, Leaders, Managers and Team Members. 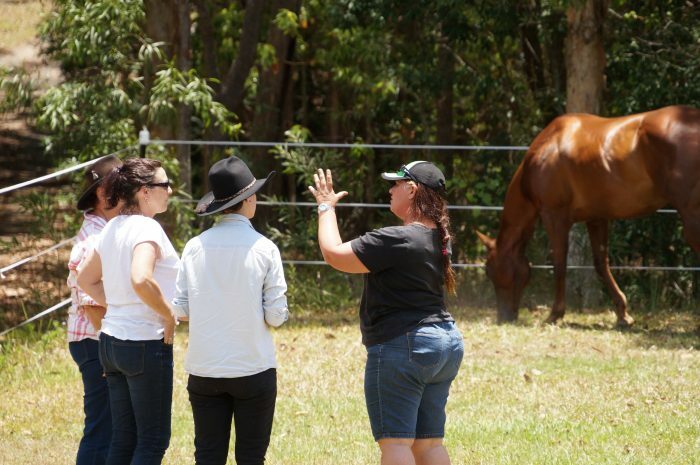 Participants are then supported in actively exploring these insights through their own engagement with the horses. The result, is the participants directly embody these new insights and experiences, allowing them to gain trust in this new way of being. It is the experiential and the non-judgemental space that make this form of learning so effective. Why is it so effective for Professional Development? It is a well-known fact, that 93% of all communication between people is conveyed non-verbally. This fact outlines the power and importance of understanding non-verbal communication in the workplace. 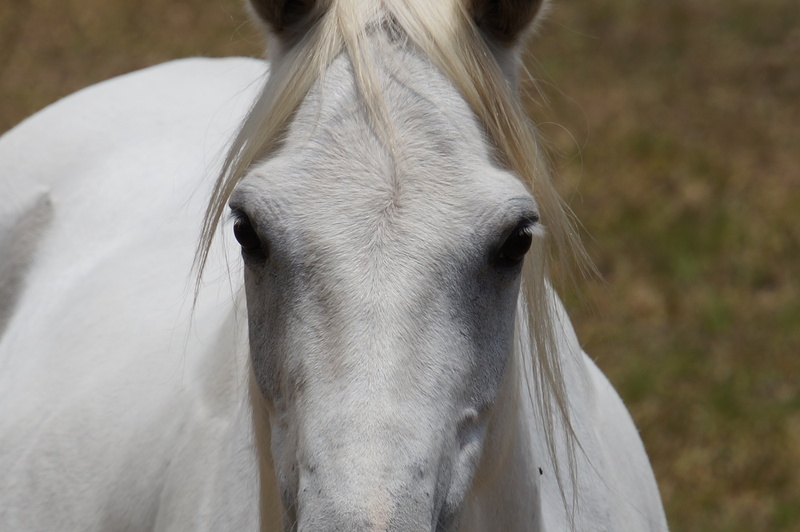 Horses communicate 99.9% with body language, which is why they are masterful at reading human emotions and intentions. 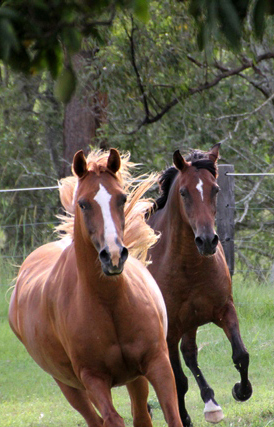 This incredible ability allows horses to give participants and teams instantaneous, real-time feedback on the effectiveness and power of their non-verbal communication for further details click here. Here at Skerrett Equine, we specialize in interpreting the horse’s feedback. With our unique and accredited approach and facilitation, participants and their teams gain the necessary understanding and strategies that lead them to personal transformations and powerful personal and group growth experiences. The result is your team or leaders in training, working more effectively and efficiently, essentially creating a more harmonious and productive working environment. Experience or knowledge of horses is not required. The only requirement is an open mind and a willingness to engage. Even people with a fear of horses can benefit. The horse is simply there to help facilitate the learning process. 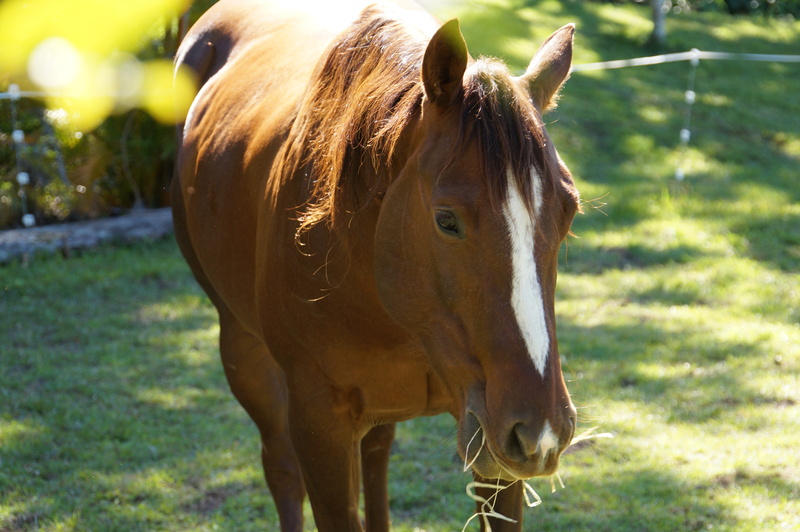 Our horses have had extensive groundwork training and have a very calm, gentle and quiet nature. Our Team Building workshops offer a unique and innovative approach to empowering Team Leaders and Team Members through the use of horses. With the right guidance, activities and facilitation teams can gain great insight into what they need to improve on. The result leads to enhanced productivity, efficiency and more cohesive teamwork. 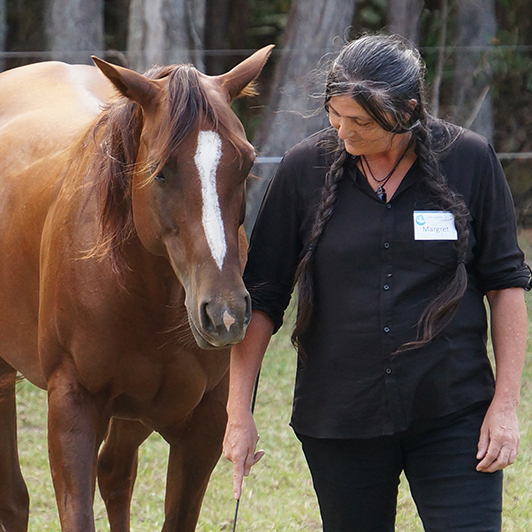 Our Leadership Training workshops offer a unique and innovative approach that empowers Leaders to develop powerful leadership qualities through the use of horses. Horses tend follow people who emit a calm, warm, connected yet assertive energy through their body language and mannerisms. With the right guidance, activities and facilitation participants will see how their style of leadership affects the people they interact with and lead. In the eyes of the horse, individuals need to have the courage to willingly step into their authenticity as a human being. I was looking for a unique, high impact team development activity that would derive maximum benefit for my team but also be fun. I was so happy when I found Skerrett Equine! The surroundings are peaceful and beautiful, the horses endearing and Ben and his wife Linda were both welcoming and professional. We have so many learnings and tools that we can use in our day to day activities and I know the team really enjoyed and appreciated the day. We already miss our new friend Phoenix the horse! It was what I have been looking for especially after writing my book. To think that I was part of this new wave of really getting in touch with horses and they being able to touch us as well, is just a dream come true. The communication that went on between Ben, the horses and myself seems to be the stuff of dreams. I'm still trying to get my head around it. Ben was a patient, articulate teacher and I feel privileged to have been part of this Seminar. I have never been to a seminar that I was sorry to see each day end. I did enjoy that the group was small; I think it gave us time to really explore the concepts. It was a life changing and dream confirming experience. I can't thank you enough for the experience. This is an empowering space for self-development and personal growth. For enhanced productivity and efficiency and more cohesive teamwork, look no further than Skerrett Equine. Two days spent away in QLD were an amazing investment, giving me insights and practices which will make me more effective and less stressed as a leader in my high intensity job in Sydney. Ben Skerrett is the owner and founder of Skerrett Equine. At a young age, Ben developed a very strong connection with horses. That connection led him to numerous opportunities to work with and train horses. 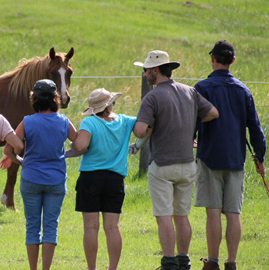 In 2006 Ben moved to the Sunshine Coast where he started a very successful horse training business with his wife Linda. 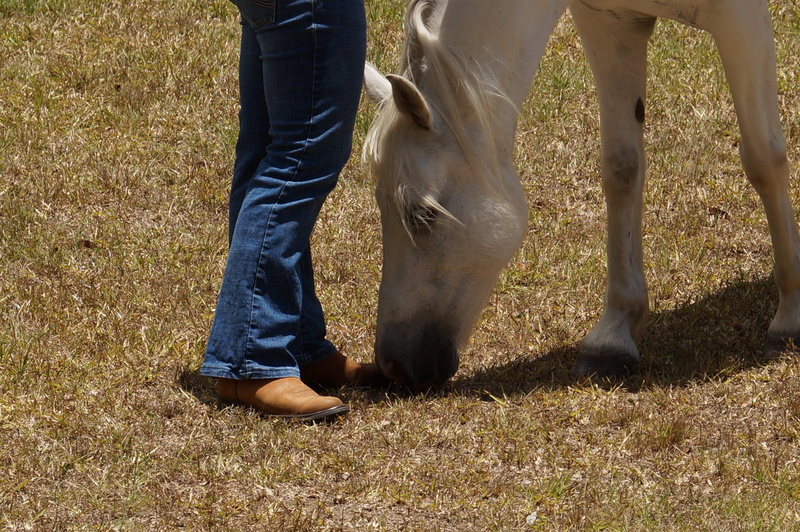 BLS Horsemanship focuses on educating and empowering people with their horses by understanding the strong interaction between the two. Ben has always had a passion for personal development and understanding human behaviour. Exploring this passion led Ben to the knowledge, that horse training was more about training people and less about training horses. As a result of that knowledge Ben decided to become a qualified Eponaquest Equine Facilitated Experiential Learning (EFL) instructor, and a Riding Focused Instructor (RFI). Ben also completed a diploma in counselling from the National Education Academy. For many years Ben worked with over 20 students and up to 10 staff on a weekly basis at Leconfield’s 1200 acre property. The essence of his work was to manage large numbers of people and group dynamics, whilst still providing a rich Australian experience for people from all walks of life and from all over the world. This required skills such as team work, effective leadership, conflict resolution and creative problem solving. This experience has allowed Ben to gain insight into how powerful transformations takes place within individuals, companies and organizations alike.